Bangkok’s Suvarnabhumi Airport is an international hub, so the options are endless. I got a flight for $1200 roundtrip on Finnair, an airline that offered excellent service and a free stopover in Helsinki. Check Air Asia for budget prices if you’re connecting from another country. 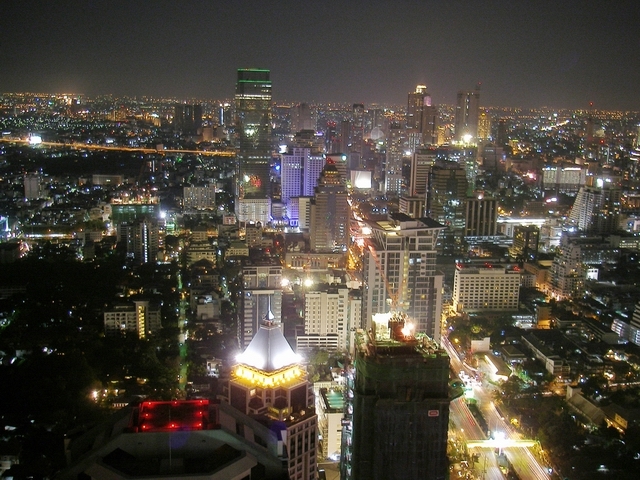 Bangkok Air is also an excellent option for flying within and outside of Thailand. We stayed at the Lamphu Tree House (above), a boutique hotel in the Old City with a pool and rooftop garden. For $45/night, I got a private room with air conditioning and a bathroom. The buffet breakfast was delicious! For on the cheap, backpackers can get a basic room (no a/c, no hot water) for $10/night on Khao San Road. Be warned: this area is really fun but it’s like an outdoor nightclub that never sleeps. And neither will you without earplugs! 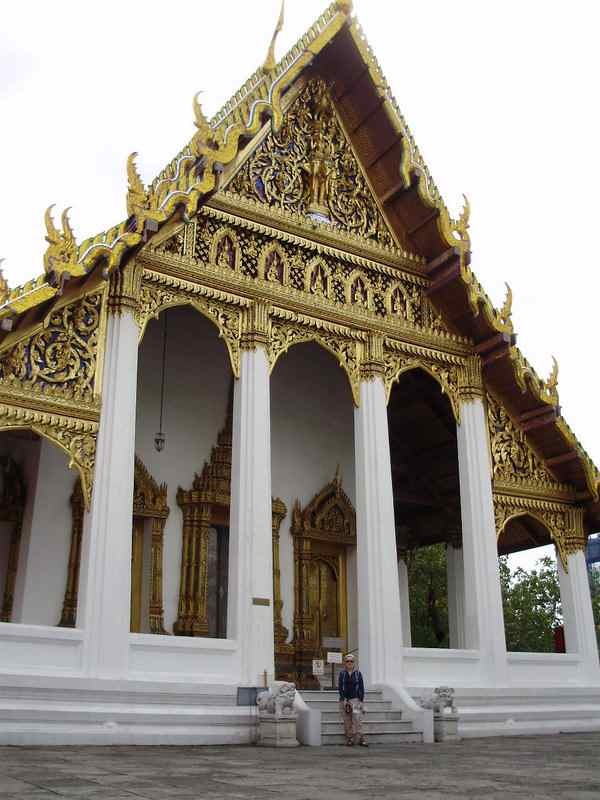 The Grand Palace - The official residence of the monarchy since 1782 is absolutely stunning (above). 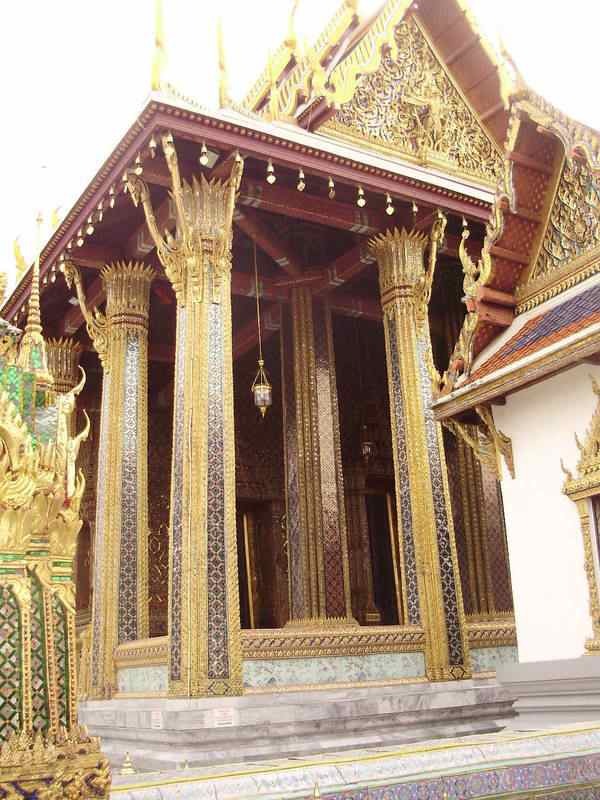 One of the temples houses the Emerald Buddha – the most sacred Buddha image of Thailand. 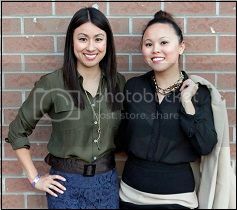 A strict dress code applies, so make sure you wear clothes that cover your arms, legs, and shoulders. Plan on spending at least half a day and rent the audio guide to get the full experience. 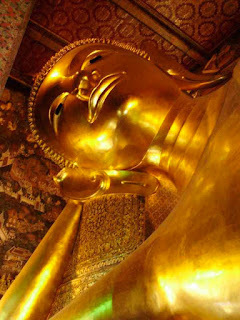 Wat Pho - One of the largest and oldest wats in Bangkok. It houses the world's largest reclining Buddha image (left). I couldn’t even get a full picture of this massive Buddha! Fortune telling at Wat Pho - $20 will buy some insight into your spiritual identity and life path. I had an eerily accurate reading – he accurately guessed my profession, health conditions, relationship issues, and general interests. Many people in Thailand take fortune-telling very seriously. Some couples even break off their engagements if a fortune teller says they’re incompatible! Wat Arun (Temple of Dawn) - We visited this temple at night when it was closed, and got lucky – the security guards let us take a few pictures of the illuminated temples. Very cool! 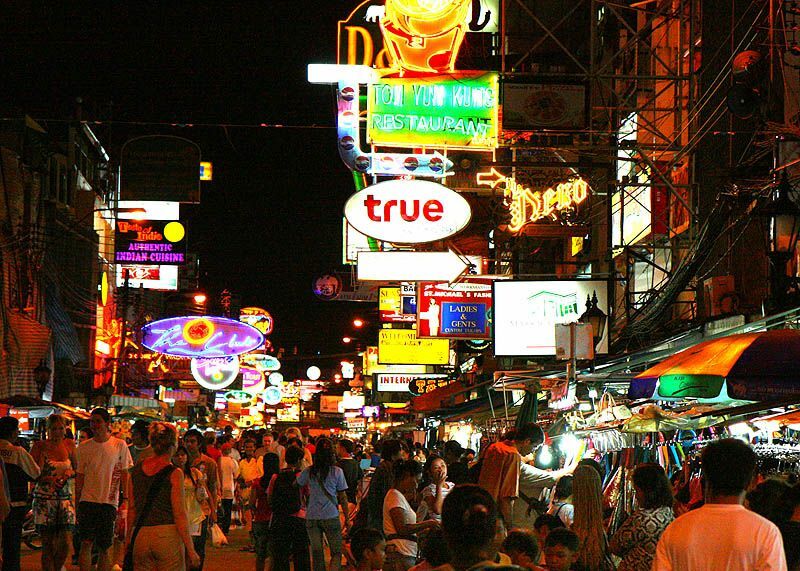 Khao San Road - Don’t miss this famous street for its cheap eats, bargain shopping and partying all night long. If you want to buy a cell phone or cheap clothes, get it here. I overdosed on chocolate banana pancakes and spring rolls from the food carts. 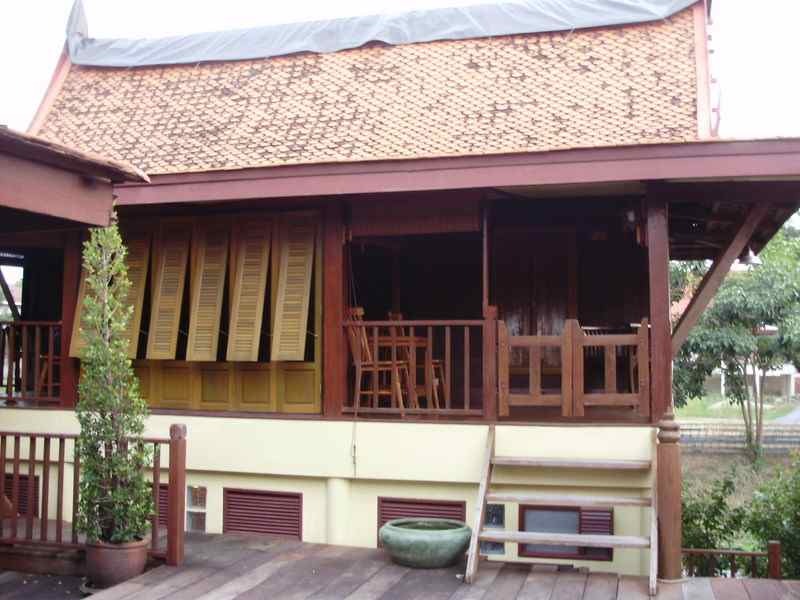 Meditation - The International Buddhist Meditation Centre at Wat Mahathat offers free meditation classes three times a day. If you want to have a quiet moment with your inner spirit, go for it! Pampering - For $6, you can afford all the fixings at the spa! 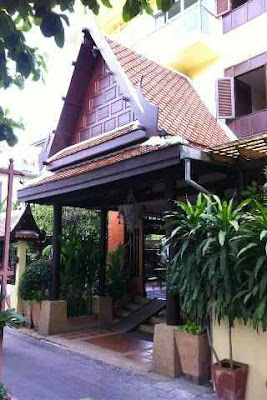 There are tons of massage and mani-pedi places on Khao San Road. Side trip to Ayutthaya - Not to be missed, if you can swing it! 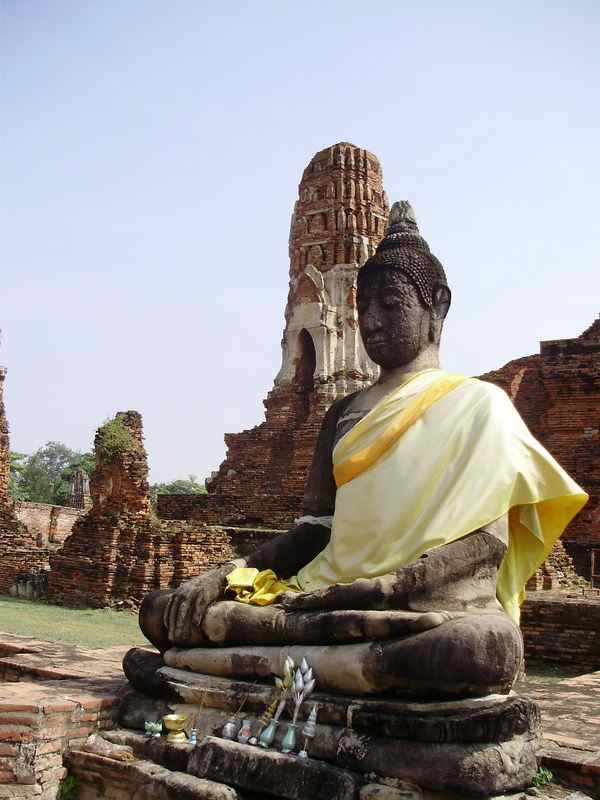 Hop the train to Ayutthaya (below), the former capital city until it was burnt to the ground in 1767. Now it’s recognized as a UNESCO World Heritage site for its ancient ruins scattered across the city. It’s impossible to see everything in one day, so choose your sites carefully and take a tuk tuk from point to point. We stayed overnight at the Luang Chumni Village (above), a traditional Thai teakhouse that was so relaxing and beautiful! 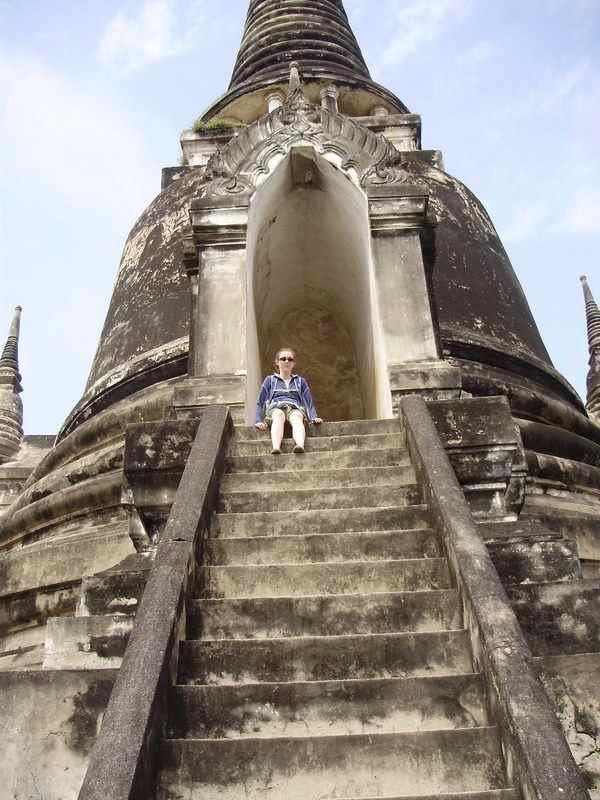 Afterwards, continue your journey on the overnight train from Ayutthaya to Chiang Mai. There are millions of other things to do and see – these are just some of the highlights. Enjoy! 1. Talk to a travel doctor before you leave about vaccines and practical information on how to stay healthy. The Travel Medicine Centre at Bay and Gerrard offered as the cheapest service I could find. 2. 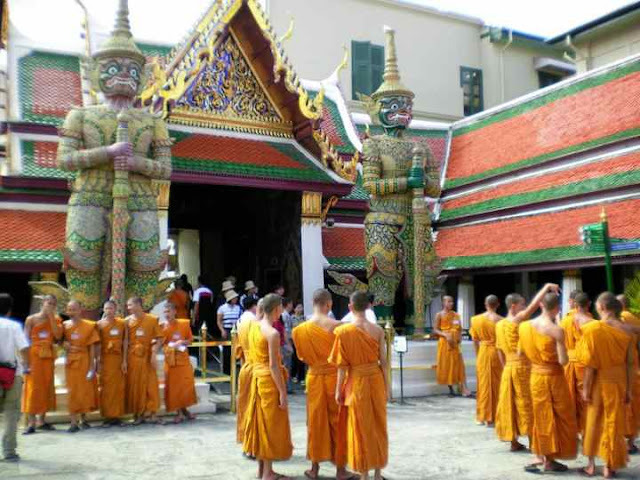 When visiting the Grand Palace and other temples, wear clothes that cover your arms, shoulders, and legs. Otherwise, you may be denied entry for showing disrespect. 3. Watch out for scams. As a “farang” (foreigner), you’re a walking target! If your tuk tuk driver takes you to a store, DO NOT go inside – it’s a rip off! NEVER engage with people who approach you with offers or advice. Girls, don’t be afraid to be assertive! Initially, I felt guilty about being so abrupt, but I quickly got over it after an attempted scam by a “friendly” tuk tuk driver. Trust your gut – if you think it’s a scam, it probably is. 4. Ask tuk tuk drivers “Kii baht?” (How much?). They’ll think you’re a savvy traveller, and be less likely to rip you off. 5. Watch what you eat and drink. Only drink bottled water, and be cautious about street food that’s been sitting in 40 degree heat. 6. Go sightseeing early to avoid crowds and mid-afternoon heat. 7. Sun tips – drink lots of bottled water, wear a hat and sunscreen, and stay out of the sun. 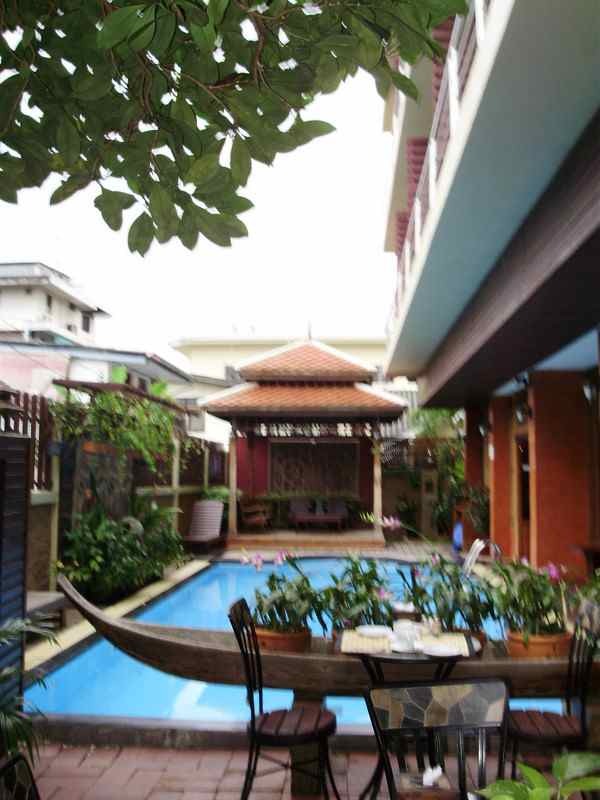 Hit the pool or take a siesta between 12pm and 3pm to avoid the stifling hot time of day. 8. Watch out for traffic – vehicles will run over pedestrians! 9. Toilet tips – paper goes in the garbage can, not in the toilet. Be prepared, but not afraid, to use squat toilets in public spaces. Sometimes the flush toilets are dirtier! Lastly, wet naps are a girl’s best friend. 10. Don’t spend more than three days in Bangkok. It’s a fabulous city, but there’s so much to see outside of it! 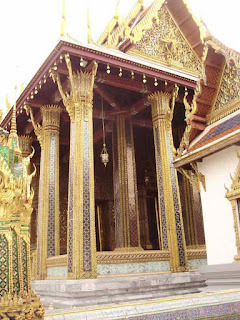 Catch Lisa J’s video of Khao San Road and riding around Bangkok in a tuk tuk.